Flip a coin. If heads, this attack does 900000 to opponent's current defending Pokemon. Flip a coin. 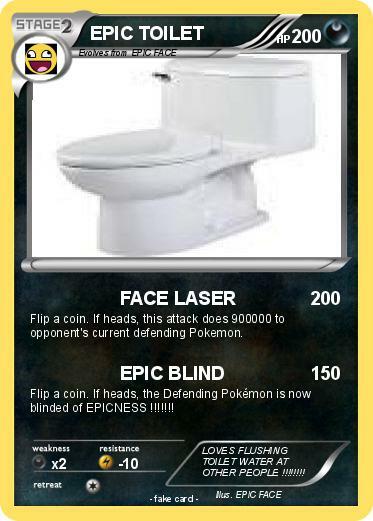 If heads, the Defending Pokémon is now blinded of EPICNESS !!!!!!! Comments : LOVES FLUSHING TOILET WATER AT OTHER PEOPLE !!!!!!! !